A Celebration of the Dingle Peninsula - Corca Dhuibhne. 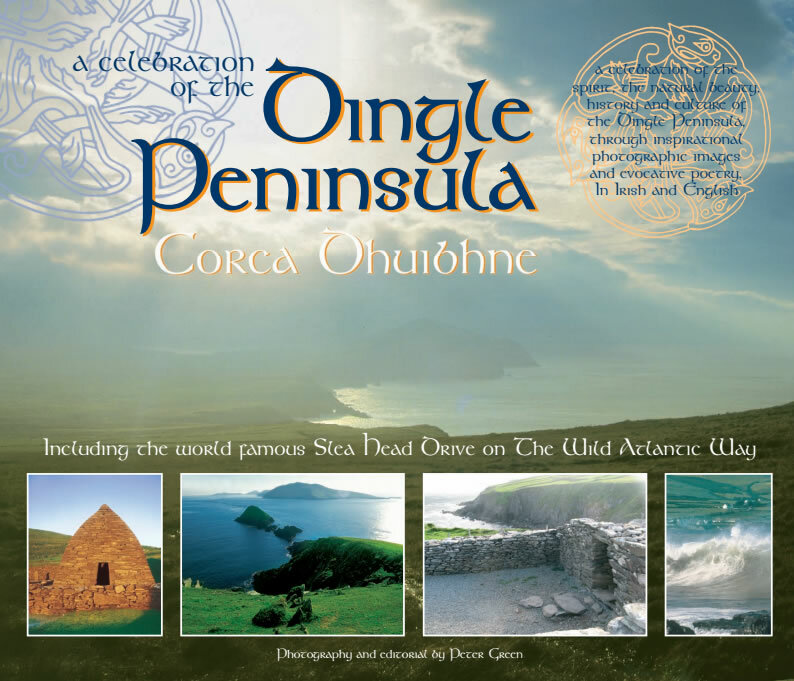 The book “A Celebration of the Dingle Peninsula - Corca Dhuibhne” has been reprinted. The book celebrates the natural beauty, history, heritage and culture of the Dingle Peninsula through inspirational photographic images and evocative poetry in Irish and English. The author, editor and photographer, Peter Green, gets inspiration from the peninsula for his writing, photography and art. The book captures the spirit of the peninsula and gives a real flavour of the history and mythology of the place. Peter Green’s editorial is translated in to Irish by Una Ni Chiosan and additional research and design ideas by Cate O’Donnell. Thanks must also go to David Foran and Michelle Long for their assistance in printing this edition. The local poets have provided their own translations, mostly from Irish to English. The poetry sparks the imagination and makes the book live. The photographic images capture the mood and energy of all times of the day and through all the seasons. The ever changing light over the Western horizon, combined with the power and the energy of the Atlantic Ocean, draws tourists and artists from all over the world, and inspires all. “A Celebration of the Dingle Peninsula - Corca Dhuibhne” captures the natural beauty of the peninsula and the ocean that surrounds it. This publication reflects the ethos of Celtic Horizons Publishing. Peter Green is a marine conservationist and a qualified Marine Mammal Observer and hopes that publications like this help to remind locals and visitors alike of the natural treasure and resource on our door step. A valuable, irreplaceable resource that needs protecting, conserving and nurturing, whilst providing a sustainable living. The book is available from local and national outlets, or can be ordered directly . Price 15 Euros. The novel: “The Tales of Amergin” by Peter Green is to be published this summer. Please keep an eye on the website for dates and details.